“I want to know how many they are and how much money they siphoned out of me!,” said Mussolini to De Cesare, his secretary. He was talking about his relatives. Tired of their continuous requests for money, offices, and privileges, Mussolini ordered, towards the end of 1942, an inquest on all those relatives who had knocked on his door asking for favours. It took months to his officials to come up with all this information and compile it into separate files, one for each relative. Due to the war, though, Mussolini never saw these documents, which remained forgotten in the archives for years. There are 334 files in total: 229 refer to Mussolini’s relatives, most of whom were unemployed, illiterate or poor farmers, while 105 are dedicated to his wife Rachele’s family members. Among them, there were three noblemen. Even three priests appear in the files. Only the closest family members, such as Mussolini’s sisters and her immediate family, were left out of the investigation. As we’ve seen above, Corrado was married to Rachele’s sister and was, thus, Mussolini’s brother-in-law. A closer relative, but not one towards whom Mussolini was better disposed. Corrado, a lover of wine, often visited Mussolini’s offices with a card inscribed with the words “Cav. Corrado Artusi – the dux’s brother-in-law”. Once there, he asked for one favour or another for him or his friends and relatives. At first, Mussolini simply asked his officials to admonish him. But it didn’t work. Corrado became involved in some fishy endeavors and was thus sent to a psychiatric hospital in Imola. A niece of Rachele, she wrote to her aunt asking for “a little something, considering that she is poor, her brother is unemployed, and that she’s about to get married.” Mussolini agrees to send her 1000 lire. 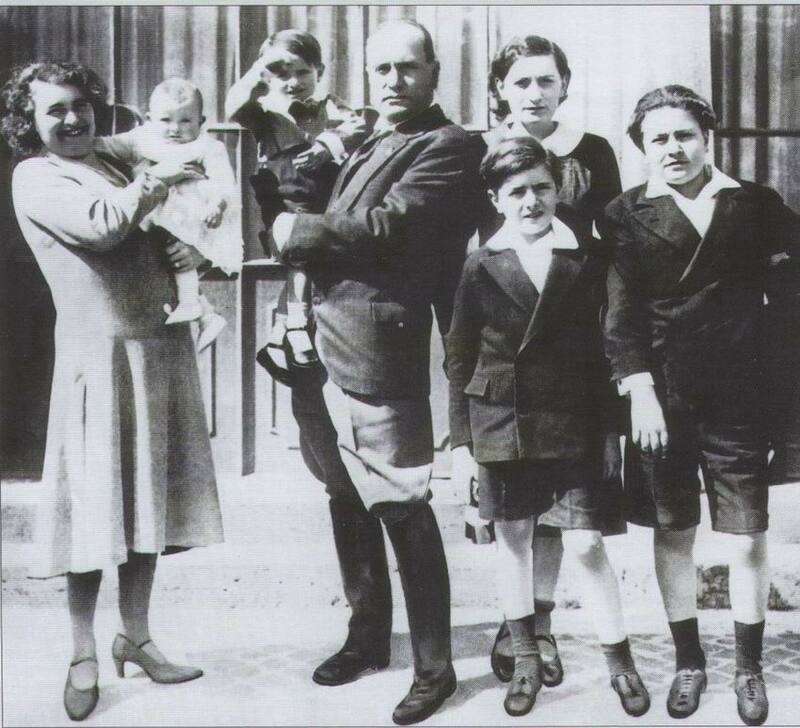 Another brother-in-law of Mussolini, Francesco had married one of Rachele’s sisters. He wanted to become the tenant of a farm called “Filichetto” in Villa Carpena, but Mussolini replies that’s not possible. When a few years later, someone suggests to give him another farm because “Rachele would be pleased with it,” Mussolini replies that that’s a lie. He will only obtain some money for his stay in a clinic. Domenica was luckier than her father Francesco. Her aunt Rachele helped her to continue her studies to become a teacher at the “Buon Pastore” school in Forlì. After her graduation, she asked her uncle for a bike. He obliged. He would also help her to study at university and even agreed, in 1942, to grant 12 more days of leave to her boyfriend. A cousin of Mussolini, she’s the daughter of Alcide, one of the brothers of Alessandro, Mussolini’s father. She asks for 20.000 lire to pay some debts, but Mussolini only wants to give her 5.000. Eventually, to avoid his name to appear in the papers, he relents and agrees to pay her debts. He also ordered his officials to prevent her from doing business again. Venusta’s sister, Cleonice regularly asked Mussolini for money, which she often got (although not as much as she would have liked). However, he refused to give jobs to the people she recommended to him. In 1941, she asked for even more money because “due to name I bear, I am obliged to do some charity work simply to please the people…”. For that, she received 1000 lire, but Mussolini made it clear that the money was a private gift from his wife. Venusta and Cleonice’s brother Tullio wasn’t different from the rest of the family. A sergeant in the aviation, he asked, and obtained, money (800 lire) to enroll at an university. After that, he left for Rome without permission, for which he was punished. That year, he also asked for 5000 lire for private goods and medical bills. Mussolini refused, so Tullio replied that was going to the clinic anyway and, when well again, he would simply refuse to pay the bill. To avoid a scandal, his cousin gave him 2500 lire. In all, Mussolini gave him 15.000 lire before, tired of his requests, he threatened him: “If you don’t stop, I’ll have you arrested.” Of course, he didn’t stop. Mussolini didn’t arrest him, but he only gave him as little help as possible. Antonio was the illegitimate child of Ernesta Agnoletti, the sister of Augusta Agnoletti, who had married the count Pio Teodorani Fabbri. Pio’s adopted son had married into the Mussolini’s family so Antonio called the Dux “dear uncle” and kept asking him for money. In his letters, he complained that the Teodorani’s family didn’t help him, but their arrogant tone made a bad impression on Mussolini. He kept asking money, and was given some, for years, until 1941, when he was called to arms. He wrote to his “uncle” claiming he was ready to die for Italy and Mussolini, instantly, told his officials “send him to fight. Immediately!”. He’ll end up fighting in Libya.